To avoid or overcome the interruption caused by power cuts in your day-to-day life, all you need is a good inverter like Luminous Eco Watt 1050. This inverter has a capacity of 1050 VA and supports the main line. It has both audio and visual indicators that help you understand the requirements of the inverter and also guides you when the appliance gauges problems with power.Â The LED display of the inverter signals the battery and load status. It is powered by the Adaptive Battery Charging Control Technology, which helps enhance the efficiency of the product. So, do not let power cuts bring your entire household to a halt, bring home this inverter, now available on Snapdeal at an affordable price. The Luminous Eco Watt 1050 inverter runs on the Adaptive Battery Charging Control or ABCC Technology. This technology helps the battery charge faster and improves the battery life up to 70 per cent. It also causes less battery-water loss and allows automatic adjustments in the continuous charging profile. This Luminous Eco Watt 1050 inverter displays visual indicators that signal various problems and informs you about different statuses. The inverter displays the charging status, on mains, Eco status, low battery electrolyte level indicator, and UPS and overload statuses. As it is not always possible to keep an eye on the display of the device, this inverter from Luminous also has audio alarms that go off to signal No Load Shutdown, Overload, Battery Over Voltage, UPS on, Battery Low Trip, Short Circuit Trip, and Battery Low Pre-Alarm. These audio indicators inform about situations that need your attention. 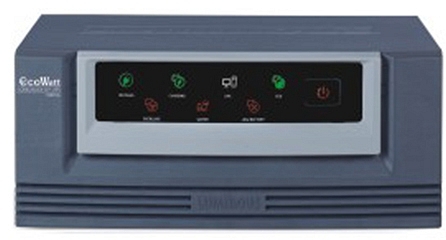 The battery of this Luminous Eco Watt 1050 inverter can be charged without much hassle. The battery can be charged even at 110 V Mains AC. It also has three current settings to charge your battery quickly, as per your requirements. It has four customised charging profiles suited for different types of batteries. The battery even has a holiday mode and a no-load shutdown that helps preserve the charge of the battery. An Intelligent Thermal Management System helps cool down the system and shuts it off in case of overheating. It also has an Intelligent Battery Water Level Sensor, which signals the need of a water top-up. The reverse polarity protection of the battery is another added feature. 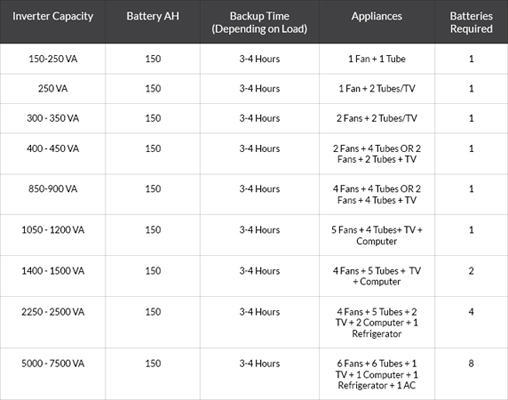 Furthermore, it is equipped with proprietary FSW technology transformer that ensures high efficiency and longevity. The Luminous inverter has an auto reset feature when it faces overload and also an Ultra-Fast Short Circuit Protection. The inverter also comes with a Battery Deep Discharge Protection that can be reset when required.